Vue has acquired Dutch exhibitor JT Bioscopen in a deal valued at EUR €85 million (USD $97.5 million). The deal is significant in that it represents the first time Vue is acquiring purely for size rather than growth. It also portents a consolidation of the global exhibition sector, with more mergers ahead as a handful of operators race to become mega exhibitors. JT Bioscopen operates 21 multiplexes representing 111 screens across 20 sites in The Netherlands. Following the acquisition this boosts Vue’s count to 209 cinemas with 1,895 screens in 10 countries in Europe. The acquisition makes Vue the fourth largest exhibitor in the world, also overtaking Cineworld as the second largest exhibitor in Europe (by site count), though still behind Odeon-UCI. Holland’s oldest cinema chain, JT has been aggressive in opening state-of-the-art multiplexes in the Dutch market, with seven new sites over the past four years. Backed by Amsterdam-based venture capitalist company Nedvest, JT has managed to increase visitor numbers by over 60% in recent years and is thus challenging its larger competitor Pathé. JT currently has a 10% market share, compared to 42% for Pathé in The Netherlands. The deal comes just a month after Kinepolis announced that it is acquiring Utopolis Group, of which five of its 13 screens are in The Netherlands. This means that all Dutch cinema chains are now in foreign hands, with Belgian Kinepolis also controlling the former Wolff Cinemas, Pathé being French and JT now being British/Canadian-owned. Despite being a mature market, cinema admissions in Holland have increased by more than a third in the last decade. This growth is seen as a result of the increase in the number of new screens and local film productions finding favour at the box office, where they account for around a fifth of box office. Vue has been growing through a series of acquisitions across Europe, including Germany’s Cinemaxx in 2012, Poland’s Multikino in 2013 and Italy’s Space Entertainment in 2014. In addition to giving Vue a presence in Benelux, the acquisition of JT Bioscopen includes two Dolby Cinema laser projection screens in Eindhoven and Hilversum. JT’s newest cinema will be in Alkmaar and opens this December. In discussing the deal, Vue’s CEO Tim Richard’s is quoted as saying, “This acquisition signals our commitment to owning, managing and developing the highest quality cinema assets around the world. Our ambition is to be the best in big screen entertainment and to be at the forefront of technological development.” Yes, and more. The quote from JT’s head Ron Sterk is perhaps more revealing, particularly when he says “We have growth ambitions, but the aim is to cater to the customer. This will undoubtedly be at the expense of the market share of Pathé, but that is not the main goal.” But taking on Pathé (and others) is very much Vue’s goal with this acquisition. Despite JT being smaller than Pathé in Holland, Vue (with its equivalent EUR €900 million 2014 turnover) is larger across Europe than Pathé (EUR €686 million in 2014), meaning that the exhibitors are on more equal footing in the Dutch market post-acquisition, while Kinepolis languishes in third place with 8% market share. Pathé is opening its next multiplex on the A2 motorway near Utrecht, while Kinepolis will be competing for the same audience with its Jaarbeurs complex in the same city. Both the nature, location and timing of Vue’s JT acquisition is telling. While this summer blockbuster season has been good, August onwards has not been fantastic for cinemas compared to the first half, leading to deflated expectations, not least coming after two dismal years. The financial pressure is thus on cinema operators, particularly small and medium-sized ones, which means that valuations are attractive for potential buyers. JT has grown impressively but was confined to being No. 2 in a mid-size European market, challenged by majors from France and Belgium. 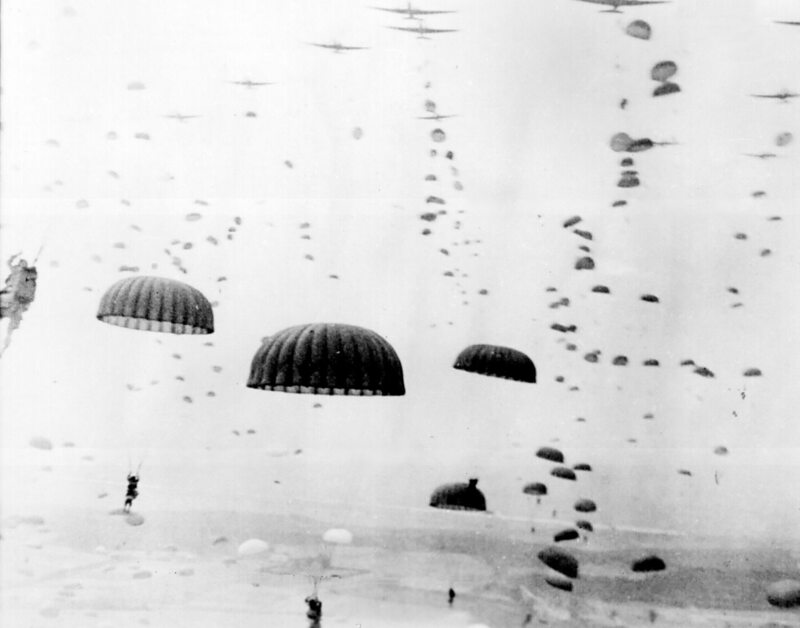 For JT (and its Nedvest backer) the Vue intervention/acquisition was thus as welcome and needed as the Allied forces’ Operation Market Garden, parachuting in British/Canadian backing and allowing the reinforced JT to become part of a much larger pan-European campaign. Vue has struggled in its native market, with box office declining by 5.1% in the UK last year, but similarly to Cineworld has been spurred by growth in its Central European markets. More importantly, Richards & Co. continue to enjoy the support of its owners, the two giant Canadian funds OMERS Private Equity (part of the Canadian pension fund OMERS) and Alberta Investment Management Corporation, that are prepared to back Vue’s expansion strategy. This backing is particularly telling because the box office rout in the UK set in almost as soon as the ink was dry on the Vue purchase document, meaning that Vue has not been paying Canadian pensioners any huge dividends. But Canadian funds are known to take a long-term view of their investments, which is why they tend to buy boring but solid businesses, like the Anglo-French Channel tunnel rail link (another OMERS investment). So while Richards may not have promised the Canadians an ever-upwards box office and quick returns, they in turn seem to have committed to super-charging any organic growth with aggressive but smart acquisitions. One of the things that should have given them confidence in Vue’s senior management (apart from the common passports) is that Richards is someone who separates business from ego. While Richards says that the deal is about being “the best” in big screen entertainment, this truth hides the larger and growing need to also be the biggest in big screen entertainment. Vue’s Cinemaxx deal was about establishing a foothold in mainland Europe, while both Multikino (Poland, Latvia and Lithuania) and Space Entertainment (Italy) were about growth market. Central and Eastern Europe have for several years been the bright spot in the static or declining overall European cinema market, where one big local hit can mean the difference between the box office growing or shrinking year-on-year. Even Italy represented a growth opportunity, given the fragmented nature and lack of concentration of cinema ownership. The other thing to remember is the similarities in the types of businesses that Vue has bought. They tend not to be massive but significant companies in their markets, companies near the top of their game, typically modern major multiplexes in big towns and cities in Vue-type sites. They are also multiplexes where Vue won’t then need to go in and spend significant money upgrading the facilities (unlike too many Odeon sites). In all the territories where they have bought they have also kept management and brand, rather than make them ‘Vue Poland’ or ‘Vue Italy’. JT fits the bill perfectly. Yet both JT’s and The Netherlands’ biggest growth years are arguably behind them. If Vue wanted to go for markets with major growth potential it would have acquired Turkey’s Mars or Pink (both very modern), looked at opportunities in Romania and Bulgaria, or been tempted by the cheap ruble to overcome the political difficulties of buying a major Russian cinema chain. While such deals may still be on the horizon, the purchase of JT is all about size in the European market. Lasers and everything else is of secondary importance. Put another way, Vue is not interested in competing with Cineworld or Odeon-UCI in Europe, but with Wanda/AMC/Hoyts, Cinepolis and CJ CGV on the global stage. It’s not that they want to (remember, for Richards it is not about ego) but because they will have to. With rumours swirling about an imminent announcement about the sale of Odeon-UCI, the exhibition game has shifted from being a regional one to being a global one. Just as we today have six major Hollywood studios controlling most of the global box office, so too will we see a push for consolidation to half a dozen global exhibition giants. There will still be room for small and mid-size exhibition companies (just like Lionsgate can compete with Disney), but they will increasingly come under pressure for everything from film rentals to the price of popcorn and cost of new technology. It is telling that the consolidation drive is ramping up now, just as VPF agreements start coming to an end and exhibitors have to consider when and how to upgrade to the next generation of cinema technologies. The exhibitors with the biggest screen counts will be able to dictate the best terms with distributors in this regard, even if neither side will call this VPF 2.0. What is holding back mega-mergers comes down to two main factors. The first is regulatory limitations on size. Cineworld and Vue could probably divide up the majority of Odeon-UCI’s sites in UK and Europe between them, but competition authorities will prevent any one exhibitor from dominating any one major European market the way that Nordic Cinema Groups’ SF Bio does in Sweden. As such, the Vues and Cineworlds will need smaller operators like Empire, if only to pick up the sites that they cannot take over for regulatory/competition reasons. Secondly, there is a limit to the debt leveraging that can be used for acquisitions. Financial markets are easily rattled by volatile box office when lending for the longer term, while even the most generous Canadian pension funds can only stretch themselves so far, not least given currency fluctuations linked to dependent economies. While mergers are theoretically possible (via Cineworld and Cinema City – though technically a cash and stocks acquisition) they are much harder to pull off than outright purchases and are rarely the preferred option for either party involved. So who will be the six global cinema majors? Interestingly it will not be the largest incumbents in the two mature markets: Odeon-UCI in Europe and Regal in North America. Their size is actually a handicap in trying to expand, even if both had not already signaled a strong willingness to be bought. This still leaves several strong regional majors, Vox in the Gulf/Middle East, PVR in India and Ster-Kinekor in Africa. While they too could in theory be absorbed by one of the six above, they are more likely to remain outsize in their mid-size markets. The same is also to a large extent true in insular markets like Russia and Japan. Meanwhile the likes of Pathé, Kinepolis and Nordic will dominate certain countries but always be second-tier players in their continent. Remember here that Vue was said to be interested in buying Nordic, until it changed hands from one private equity firm to another. A sale to Vue or another cinema chain could thus still happen. Meanwhile the best bet for Kinepolis and Pathé would be to consider an outright merger – though competition authority-enforced divestments means that they would rather not – mainly because Europe is fast running out of attractive medium sized exhibitors to be bought.